Laser Dentistry Certification: According to the Academy of Laser Dentistry (ALD), a laser works by emitting a highly concentrated beam of light energy powered by an activated medium, such as a container of carbon dioxide gas. The heat and light of the laser's beam can be directed to kill bacteria or vaporize the water in oral tissues, allowing a dentist to remove highly specific areas of gingiva and other tissue. A powerful enough laser can also remove portions of bone. When most people hear the word “laser,” they may think of a barrage of red beams in a movie set in a galaxy far, far away. When dentists hear “laser,” they are more likely to think of technology that may be beneficial to their patients and their practice. 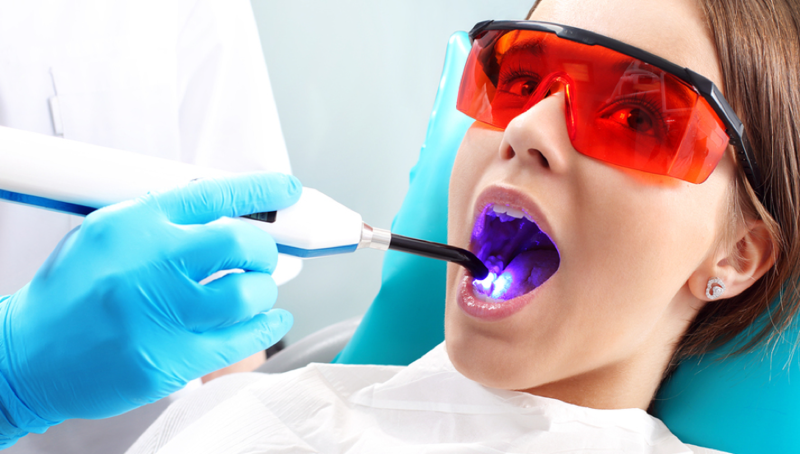 For years, lasers have been promoted as the future of dentistry. But before pursuing a laser dentistry certification, it is important for you to evaluate your skills and practice vision to determine if this type of technology could benefit you, your practice and your patients. According to the Academy of Laser Dentistry (ALD), a laser works by emitting a highly concentrated beam of light energy powered by an activated medium, such as a container of carbon dioxide gas. The heat and light of the laser’s beam can be directed to kill bacteria or vaporise the water in oral tissues, allowing a dentist to remove highly specific areas of gingiva and other tissue. A powerful enough laser can also remove portions of bone. Dental lasers can be used to help restore teeth, contour gingiva and perform other soft tissue procedures. What may be most appealing to dentists and their patients is that dental lasers allow treatment to be completed with a minimal amount of local anesthetic, and in some cases no anesthetic at all. This is an amazing benefit to patients who may decline or avoid dental treatment due to a fear of needles. Furthermore, a dental laser can eliminate the need to use a high-speed handpiece for some procedures, thus making patients feel more at ease. 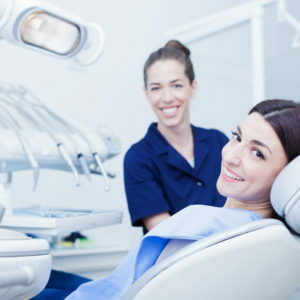 In addition to reducing and possibly eliminating the need for needles and drills, a dental laser may allow a general dentist to offer some treatments that might otherwise require a specialist referral. Examples include fibroma removal and frenectomies. With proper training, a laser may make it possible for an individual general dentist to provide these treatments in-office when he/she would not have before. However, always remember that all dental professionals should only provide treatments that they have received training on and are competent performing. An important step toward offering laser procedures in your practice is seeking training programs and considering laser dentistry certification. Training and certification options in dental lasers vary regionally. For example, the ALD‘s international chapter and affiliate study clubs, and global organizations such as the World Clinical Laser Institute, provide a variety of courses, conferences and certifications. Most laser manufacturers provide some basic training on how to use their particular lasers, while certification goes beyond mastery of one machine. Laser dentistry certification programs offer didactic and hands-on learning to help develop dentists’ knowledge and competency. It is important to check with the appropriate regulating body where you work, to determine whether and what type of training or certification may be required. It is also important to check on whether your dental hygienist may use a laser in your location, and if so which types, under what conditions, and what training requirements would be applicable. Will I use the laser beyond the first few months after purchase? Do I have the training and competency to perform laser treatments? Do I have the time to complete the proper training or/and laser dentistry certification? Is there a need for a laser in my practice? Can the money that would be spent on a laser be better spent in another area of my practice? You can also talk to fellow dentists who have used a laser in their practice. Ask if the laser increased the practice’s production and profit, and if it made dentistry more enjoyable for them and their patients. Also, talk to dentists who have purchased lasers and no longer use them. Ask why they chose to no longer use a laser. Would more training have helped them? Finally, find out which laser brands and models get the best independent user reviews. Don’t be in a hurry to purchase a laser. It can be a benefit to a dental practice, but it can mean a significant financial and educational investment. Whether you choose traditional methods or the newer laser technology, you can provide quality dentistry. What do we see as the top trend in dentistry in Europe for 2018? 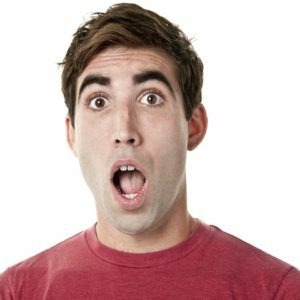 Mouth breathing – should dental teams act? What do patients really think about you? Posted in Dental life, EduForum and tagged Academy of Laser Dentistry, cost of dental lasers, dental laser, dental lasers, frenectomies, future of dentistry, gingiva, high-speed handpiece, Laser dentistry, World Clinical Laser Institute. Bookmark the permalink. You will need to login if you want to read the comments made by dental professional readers, or to make comments on the articles yourself.